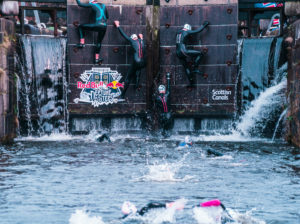 I think a few people might expect that 400m of open water swimming + a few obstacles might be easy for someone who has done multiple Ironman, I mean, 400m compared to 2.4 miles… easy, right? WRONG. 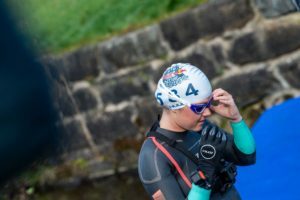 I was nervous the moment I had decided to take part in Neptune Steps as I know that my swimming is pretty weak, especially over a short distance when the pace needs to be fast! 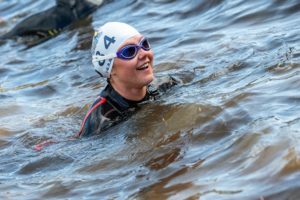 I’m not the biggest fan of swimming and I’m certainly a fair-weather swimmer – I don’t usually get into the lake until it’s 13 degrees at minimum! However, I do like a challenge. I’m a big believer of getting out of your comfort zone, and I knew this definitely would be out of mine! 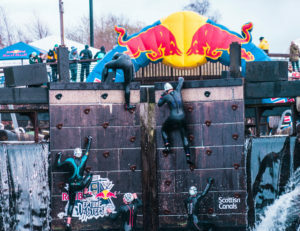 Based in Glasgow’s Maryhill locks, the event is 400m of swimming where competitors have to hoist themselves over seven canal lock gates using ropes and ladders, ducking waterfalls as they go. 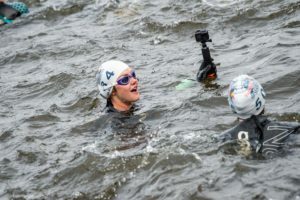 This event takes place in March – meaning water temps could be around 2-5 degrees! A wetsuit is a great place to start + boots – I think these are compulsory. 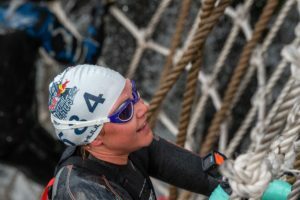 I would highly encourage the use of neoprene gloves too as it can become pretty tricky to hold on to the ropes and obstacles without them, and they keep you a little warmer! I would really try to get some good ones for this… ones that won’t fill up with water. A Dryrobe would be the best decision you could make to pack, seriously! I didn’t even take mine off to make the 6.5 hour journey home (yes I did look like a crazy person on all of my trains! ), but it made the whole day a LOT more comfortable then it could have been! 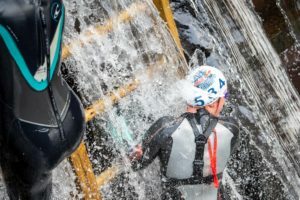 Obviously you’re going to need a good pair of goggles – the waterfalls really are quite powerful so you want a pair that will stay on your face! I brought one towel and didn’t need another thanks to my Dryrobe, and a spare change of clothes with some lovely warm socks! 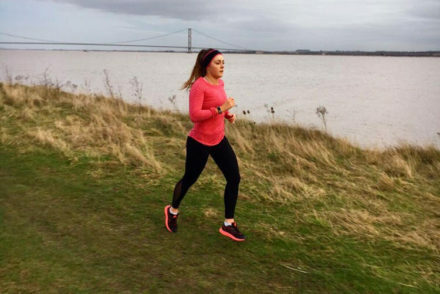 The area around the canal gets pretty muddy, so I would pack a pair of trainers that you don’t mind getting a bit dirty. I’m not going to sugar-coat it, this event is tough! 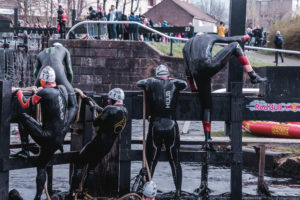 My initial worries all centred around the 5degree water temperature, but honestly once you’ve done the 2 minutes acclimatising (you have to do this before the start), you soon forget how cold it is until you get out and feel the pain in your hands! The climbs are waaay more challenging than I anticipated, it really does require you to hoist your body weight over some difficult climbs, with water pounding down intl your face – it’s not easy. 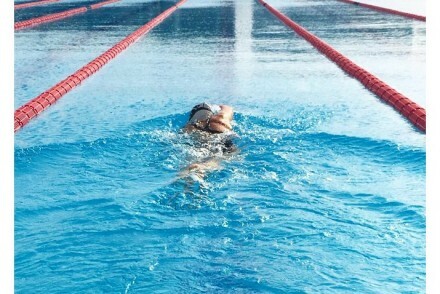 The actual swimming was harder than I thought – my arms didn’t seem to want to move in the cold, so it was hard to sprint! BUT, it was absolutely incredible, and if I could do it, anyone could! 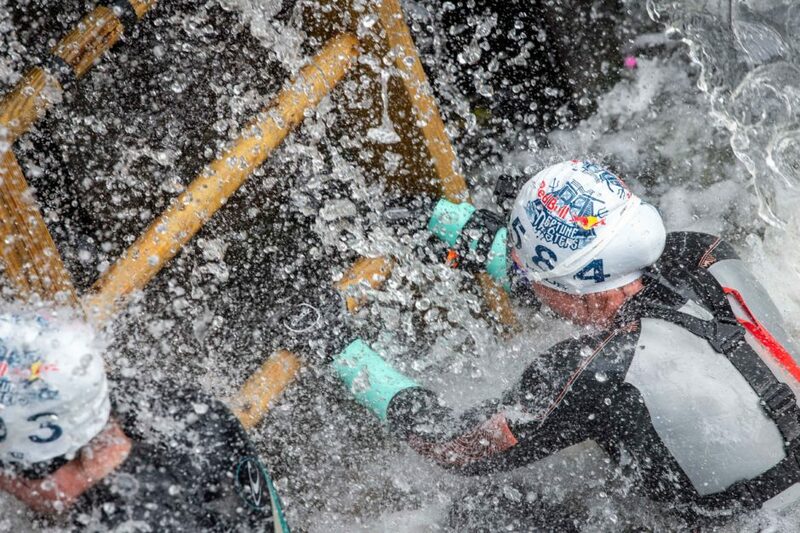 As soon as you cross the finish line you’re draped in a big sparkly medal and passed a Red Bull – it tastes seriously good after the effort you’ve just put in. I ended up doing x3 heats and consumed x3 Red Bulls – I needed ALL the caffeine and sugar to help me get through the race! 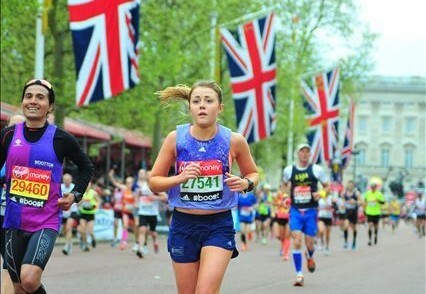 I absolutely loved the experience and it was definitely unlike any race that I have ever done. I would highly recommend if you want a challenge and a fun day out! You can watch my vlog here!